The Ministry of Justice of Ukraine has said the European Court of Human Rights will hear the first out of five lawsuits filed by Ukraine earlier against the Russian Federation on February 27 of this year. "The first hearings into Ukraine's lawsuit against Russia regarding the violation of human rights in Crimea will be held at the ECHR as early as February 27," Ukraine's Justice Minister Pavlo Petrenko wrote on his Facebook page on February 4. The minister recalled that the first cases involving violations of human rights by the Russian Federation in Crimea, and Donetsk and Luhansk regions were filed with the ECHR back in 2014-2015. During 2018, two new lawsuits were filed—on the violation of the rights of political prisoners and on captured Ukrainian naval sailors. 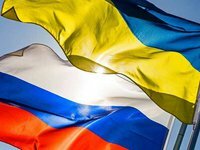 Currently, five cases of Ukraine against the Russian Federation are with the ECHR: "Ukraine against Russia (regarding Crimea)" regarding human rights violations in Crimea as a result of the Russian annexation, "Ukraine against Russia (regarding Donbas)" regarding human rights violations in certain territories of Donetsk and Luhansk regions." Other cases are as follows: "Ukraine against Russia" about kidnapping in the territory of Donetsk and Luhansk regions of orphans and children with disabilities by militants and their transfer to the territory of the Russian Federation, "Ukraine against Russia" regarding the violation by Russia of the rights of Ukrainian political prisoners, and "Ukraine against Russia" related to the captured Ukrainian naval seamen.